So how do high schools help their student-athletes make the dream of playing at the collegiate level a reality? At Lutheran High, that job falls to our Director of Collegiate Athletic Recruiting Aaron Rudzinski. With the help of LuHi Coaches and our Guidance Counselor, Aaron focuses on educating students about the recruiting process and helping them find opportunities. “In my role as Director of Collegiate Athletic Recruitment, I primarily help LuHi student-athletes familiarize themselves with the recruiting process. Initially, I will educate aspiring next-level athletes on opportunities available at the NCAA, NAIA, JUCO, or NCCAA levels. Because there are many Associations, I provide specific rules and regulations that will pertain to each. guest speaker, Athletic Director at CCU Brian Wall, presented at LuHi on athletic recruitment. Aaron conducted a seminar on similar topics designed for 9-11 graders interested in college sports. LuHi hosted National Signing day on February 6th. National Signing Day at Lutheran is held in the gym. After coaches share some thoughts about their athletes, students sign their letters of intent and then celebrate with parents and classmates. 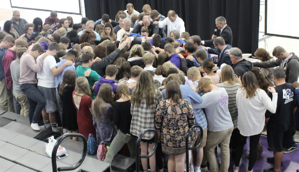 We close each Signing Day by lifting up the athletes in prayers as they move forward to the next steps of their collegiate athletic pursuits. Currently, Lutheran High has 35 alumni participating in sports at the next level. 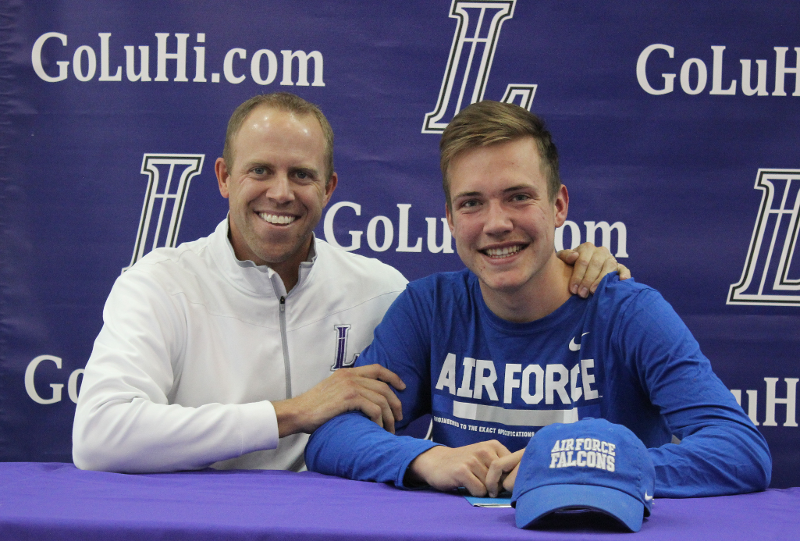 “I am passionate about helping student-athletes at Lutheran go on to play at the college level for two reasons,” Aaron shares, “The first reason is that I know of the lasting benefits. As a former college basketball player at Concordia University-River Forest, I am forever grateful for the opportunity that I had to participate on a team and to be part of something bigger than myself. The life lessons that I learned from being on a team include hard work, dedication, perseverance, sacrifice, and love for others. These are lessons that I will always have and have been intricate in my life and continue to help me in the years since. I will always cherish the bonds that were made with teammates and coaches as we all worked toward a common goal. For families of interested students, the process of getting recruited and accepted into the college of choice might seem overwhelming. While the process can be extensive, it really can be quite simple if you know the timeline, understand the requirements and meet the deadlines. Understanding what colleges look for off the court is equally essential. Aaron helps students understand academic criteria, eligibility requirements, and college admissions processes. At Lutheran, there are multiple opportunities for parents and students to attend informative seminars and individualized meetings structured to provide guidance through the process. For more information and details about meetings, please reach out to Aaron Rudzinski at aaron.rudzinski@lhsparker.org.